Clearly director Martin Scorsese has put a ton of thought into his first 3D adventure as well as this being his first film for children. That being said, "Hugo" isn't necessarily just a film for kids, but is just as much a film for anyone who loves cinema period. Scorsese crafts a film that while based on Brian Selznick's award-winning New York Times best-seller, "The Invention of Hugo Cabret" is more than anything a reminder that movies are not just a simple form of entertainment but that they are in fact an art form, a craft, and a chance to escape from reality into the dreams we never thought we could see realized. 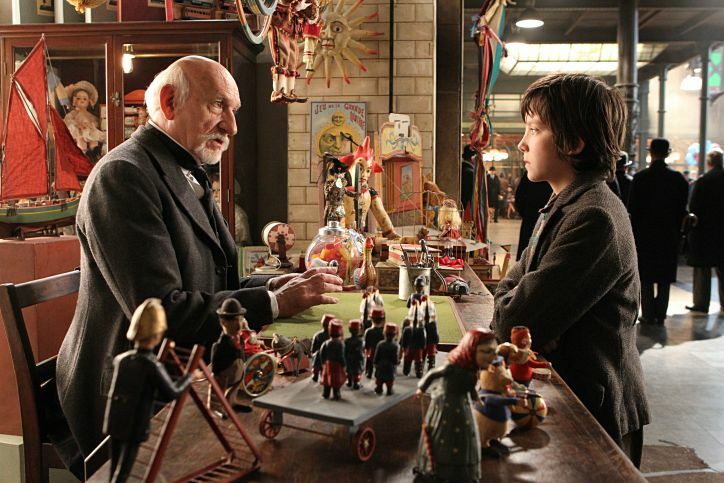 That films in general are to be cherished is as much a theme in "Hugo" as the ones of family, of love and loss and of course redemption. It is a fine tuned piece of cinema that Scorsese effortlessly guides us through. He is at his finest here as he is not only creating a piece of work that will make his already impressive resume even better but he is making a contribution to the whole medium of filmmaking that gives his entire life a purpose. The legendary director seems to have let the nostalgia run deep here as he draws on many cinematic influences and not only delivers a family friendly adventure film, but an experience that teaches us how important the movies are and how much we would really miss them if they were gone. Butterfield) trying to steal parts from his shop. While "Hugo" clearly left an impression on me more about the history and value of cinema than anything else it also contains a rather lovely adventure story that stars the always charming Chloe Grace Moretz and in the title role of Hugo, Asa Butterfield, who you might recognize if you saw the extremely depressing "Boy in the Striped Pajamas". 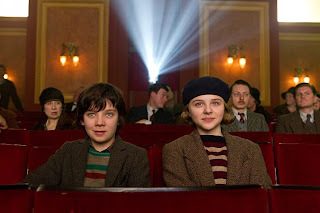 The two young stars are more than capable of bringing the sense of wonderment needed for telling the story and Moretz (though not as major a player as I'd hoped) is especially fantastic as a young lover of books who finds them to be her world of escape much like her Godfather Papa George does in cinema. I won't say more than that as much of the fun and intrigue of "Hugo" is the air of mystery that surrounds Ben Kingsley's character. As Georges Melies Kingsley perfectly plays an older, bitter man who has clearly seen tough times and doesn't intend to live in a past that meant so much more to him than the present. Set in 1930's Paris, our main story follows young orphan Hugo Cabret (Butterfield) who lives in the walls of a train station after the passing of his father (Jude Law) who was working on an automaton that is mysteriously connected with Isabelle's (Moretz) Godfather. The way in which these stories fall together is perfectly layered by Scorsese who purposefully starts things off with a slight slow burn that builds perfectly to a point we are begging the story to give us insight as to what mysteries this train station holds. And he delivers, and we are happy. Plus, it's not such a bad thing to demand patients of today's kiddies is it? Cohen) is always on patrol. 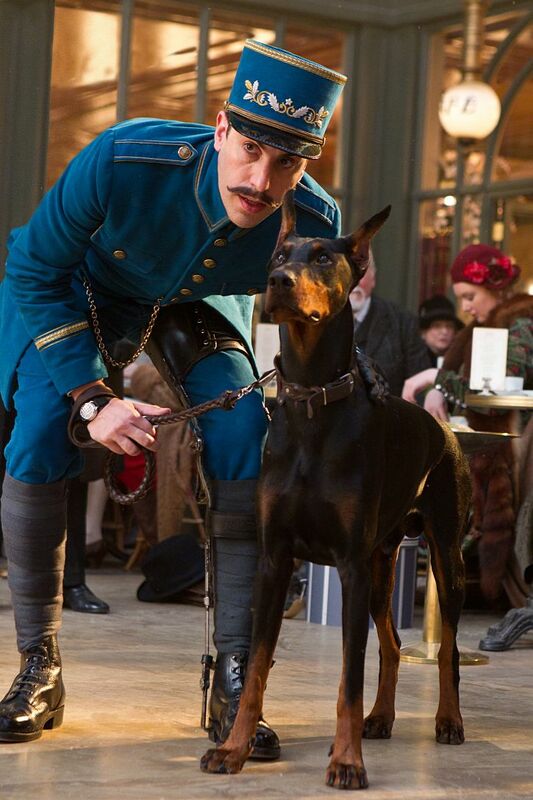 One of the treats with "Hugo" is also the way in which Scorsese populates the train station where the majority of the action takes place. There is the man who plays Mr. Dursley in the Harry Potter films attempting to make friends with the woman who owns the bakery but has her dog to worry about. This little scenario, with its French setting would make a pleasant little short film in itself. Still, we have the station inspector as played by a subdued but still funny Sacha Baron Cohen who is always after orphans running amok while trying to spark a romance with the local flower vendor Lisette (Emily Mortimer). There is also the small book store that is run by Monsieur Labisse (Christopher Lee) who is a mysterious figure in his own right as he gives our two young protagonists the reassurance that it is okay to use their imagination and get lost in the books he recommends. It is the world that Scorsese brings to life along with production designer Dante Ferretti and director of photography Robert Richardson that makes "Hugo" an immersing experience that is one of the few films this year that actually uses the technique of 3D to make this feeling even more true. We are lunged head first into the world of the Paris train station as the camera work especially in the opening monologue of the film dips and turns with Hugo's movements as he navigates gracefully through the inner-workings of the station. It is as enlightening to the world of the film as it is exciting to see that Scorsese still cares just as much about the way the story is told as he does about the style with which it is captured. "Hugo" is certainly more than just the children's 3D film it has been advertised to be but in many ways is very much a love letter to cinema from one of its most notable directors. It is also a plea for film conservation for which Scorsese is a known supporter. It not only made me want to see older films and help preserve them, but it reminded me why I actually love movies in the first place. 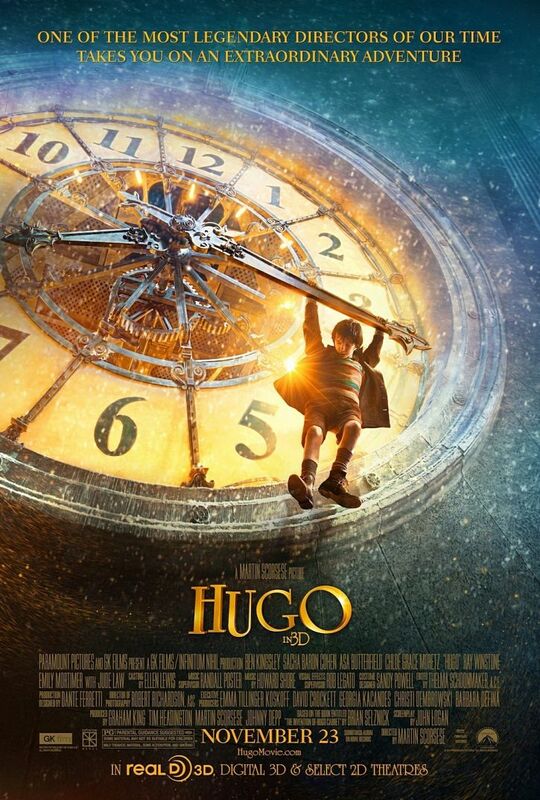 It is not often you can make a film or anything for that matter that has a mission of saying how great that art form is, but "Hugo" does it with a beautiful landscape and solid story that serve more than just the purpose of entertaining but also of actually teaching something. It is an experience in the theater that is worth the extra cash for the 3D glasses. It is an experience that is perfect for the season as a wholesome, heartwarming tale that is not just about magic but actually feels a bit magical. I loved the film, if you can't tell, and the more I think about it, the more I want to watch it again...immediately. It may well be one of the better films this year and though I don't believe the award shows will give it its due, I hope that it will at least garner enough audience response so plenty of kids around the world can experience a truly great cinematic experience.